Is the county growing? We assessed growth in the working-age population, ages 16 and older, from 2009 to 2011 to ensure that the county was attracting workers and exhibiting a trend of upward population growth. Can you afford to live in the county comfortably? We measured a county’s median household income to see if workers made a good living. We also analyzed the monthly homeowner costs, including mortgage payments, to see if the county had a reasonable cost of living. What is great about your county? Let us know in the comments below. Lexington County is located in central South Carolina and is part of the Columbia metropolitan region. Its county seat and largest city is Lexington, situated 12 miles away from Columbia. From 2009 to 2011, the county saw 5.9 percent growth in the working-age population while its median household income was $52,857, the third highest on our list. Additionally, the county’s unemployment rate of 6.5 percent in August 2013 was the lowest in South Carolina. Lexington County’s largest employers include Lexington Medical Center, SCANA Corporation and Michelin. The county provides a workforce development program at the Midlands SC Workforce Center, a branch of the SC Works program. There, job seekers can find online job postings, job-training opportunities and online educational resources. Beaufort County is located in southern South Carolina, along the coast of the Atlantic Ocean in the Lowcountry region. A part of the Hilton Head metropolitan area, the county is divided by the Broad River. The county has a strong military presence, home to Marine Corps Recruit Depot Parris Island, Marine Corps Air Station Beaufort and Naval Hospital Beaufort. Beaufort County saw a working-age population growth of 8.1 percent between 2009 and 2011, while its median household income was the highest on our list at $57,133. The top employers in Beaufort County outside of defense include Beaufort Memorial Hospital, Marine Corp Community Services and Hilton Head Hospital. Residents of Beaufort County can find job-seeking assistance at the Lowcountry Workforce Investment Area, which serves Beaufort, Colleton, Hampton and Jasper Counties. Job seekers can find training and educational opportunities, networking groups and other workshops. Beaufort is home to the Technical College of the Lowcountry, which provides continuing education classes at the Colleton Career Skills Center. Students can pick up technical skills, logistics and soft skills. Kershaw County is located in central South Carolina and part of the Columbia metropolitan region. The county’s seat is Camden, home to the Carolina Cup, a famous steeplechase horse race. The county experienced 5.4 percent growth in the working-age population from 2009 to 2011 while its median household income was $43,509. Kershaw County’s top employers include KershawHealth, Haier America Research and Development and Target, which has a distribution center in Lugoff. The county is home to ready SC, one of the oldest worker training programs in the U.S. Founded in 1961, it has trained 2,692 workers from 1998 to 2011 and is a division of the SC Technical College System. The program provides employee recruiting, training and assessment programs for local businesses to help them create new jobs. Kershaw is also home to Central Carolina Technical College, which has a division dedicated to Workforce Development. Students can explore career paths and hone their employability skills at the Workforce Readiness Center while businesses can find customized training programs and other resources to help them expand. Located in the northwestern part of the state, Greenville County is the most populous county in South Carolina. Its county seat is the city of Greenville. The county saw a working-age population growth of 3.9 percent between 2009 and 2011 while its households earned a median income of $48,518 in 2011. The county’s unemployment rate was 6.8 percent in August 2013, below the state average of 8.1 percent. Greenville County’s largest employers include Greenville Health Systems, Bon Secours St. Francis Health Systems and Michelin North America, which has its headquarters in Greenville. Residents can find access to seven different higher education institutions at the University Center of Greenville. They provide specific resources for transfer students, those who have changed careers and those who have relocated. Greenville is also home to Greenville Technical College, which has career services for students ranging from finding a good career fit to perfecting resumes at a workshop. Richland County is situated in central South Carolina and is home to Columbia, the state capital and the largest city in the state. Columbia is located at the confluence of the Broad River and the Saluda River, which join to form the Congaree River, a popular place to kayak. The county saw a working-age population growth of 6.1 percent between 2009 and 2011 while its median household income in 2011 was $48,485. The county’s largest employers include Blue Cross, Palmetto GBA and Computer Sciences Corporation. Columbia is home to many institutions of higher education, including Allen University, Benedict College, Columbia College, South University and Southern Wesleyan University, amongst others. The University of South Carolina, one of the largest employers, is located in town. Their career center helps students find internships and job opportunities, explore majors and careers and prepare resumes and cover letters. Columbia is also home to the main campus of the Midlands Technical College, which offers students and alumni career opportunities and resources for the job search. York County lies along the North Carolina-South Carolina border. 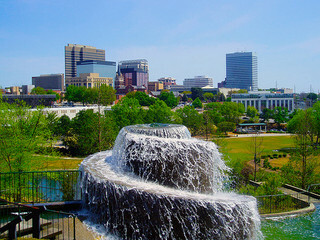 Located in the north central region, York County is a part of the Charlotte, NC metropolitan area. The county experienced a working-age population growth of 5.3 percent between 2009 and 2011 while its median household income was $53,536. Top employers in the county include Wells Fargo, Ross Stores Distribution Center and Piedmont Medical Center. York County is home to a branch of the readySC program, which provides workforce development and training for workers in new companies. Additionally, York Technical College is located in Rock Hill, and it provides continuing education for all residents in the region as well as customized training courses for local businesses. Rock Hill is also home to Winthrop University, which provides career services at its Center for Career & Civic Engagement. They provide support for students looking for help developing job skills, job hunting and choosing a career path. Located in eastern South Carolina, Aiken County is a part of the Augusta, GA metropolitan area. The county is bordered by the Savannah River on the west and is the fourth-largest county in South Carolina by size. The county has seen plenty of growth, with a 4.3 percent increase in the working-age population between 2009 and 2011. Aiken County’s largest employers include Savannah River Nuclear Solutions, Shaw AREVA MOX Services and Kimberly-Clark Corporation. The Greater Aiken Chamber of Commerce launched the Young Professionals Initiative in 2008 to help young professionals meet, network and find greater economic opportunities in Aiken. Additionally, the Aiken and Edgefield regions have formed an Economic Development Partnership focused on providing career-focused programs for graduating high school students as well as specialized coursework and continuing education for local residents at colleges such as the Aiken Technical College. The University of South Carolina Aiken provides individual students specific career-oriented help at their Office of Career Services. Students can sign up for individual appointments for one-on-one assistance, search for career programs and events and find job-shadowing opportunities, internships and co-ops. Pickens County is located in northwestern South Carolina, west of Greenville County in the “boom belt” along I-85. The county is a part of the Greenville metropolitan region, and the county seat is Pickens, located approximately 20 miles west of Greenville. Pickens County saw a working-age population growth of 3.0 percent between 2009 and 2011, and its unemployment rate was 7.4 percent in August 2013, below the state average of 8.1 percent. The county’s top employers include Contract Environmental Services, ARAMARK and Baptist Easley Hospital. Additionally, companies such as Alice Manufacturing Company and JMMS have headquarters in Easley, the largest city in Pickens County. Clemson University is located in Clemson, approximately 20 miles southwest from Easley. The university’s Center for Career and Professional Development helps students find internship opportunities, career workshops and other experiential-education programs. Oconee County is the westernmost county in South Carolina, and Seneca is its largest city. From 2009 to 2011, Oconee County saw a 4.9 percent increase in the working-age population, and its households earned a median income of $42,641 in 2011. The county’s top employers include Duke Energy, Oconee Medical Center and Schneider Electric. Seneca is home to Tri-County Technical College, which provides a Career Services Office to help students through personalized career counseling, career goal setting and other workshops and seminars. Additionally, the Worklink Workforce Investment Board helps link residents and employers in Anderson, Oconee and Pickens Counties. They provide job seekers with job training and other employment opportunities. Anderson County is located in northwestern South Carolina, southeast of Oconee County. The county is home to Lake Hartwell, which provides plenty of recreational activities for the county’s residents. The county saw a working-age population increase of 3.3 percent between 2009 and 2011 while households earned a median income of $42,854 in 2011. Large employers in the county include AnMed Health, Electrolux and the Bosch Group. Anderson is home to Innovate Anderson, a public/private community development corporation that works on boosting the region’s economy. Additionally, Anderson County is a part of the Tri-County Economic Partnership, which works on providing small business and entrepreneurial services to help local industries grow. Located in the city of Anderson, Anderson College provides students with a Career Services Center that offers comprehensive career counseling and other job-related resources. 31 counties and county equivalents designated by the U.S. Census were included in this analysis. Only counties with populations over 23,000 were considered in this analysis. 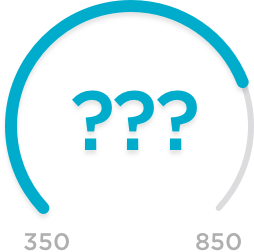 What is the maximum income for getting Obamacare premium assistance?